Let us help you to have a successful presence at your next trade show or outdoor event. We offer imprinted table covers, customized pop up tents, roadside flex flags, booth backdrops including lighted, to huge modular exhibit systems. Lighting, counters and shelving accessories are also available. Displays come with convenient hard packing cases with wheels or heavy wooded crates for larger units. We can store your trade show systems and ship to various convention show venues. Rental systems are available as well. 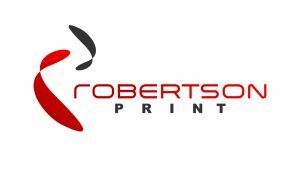 Robertson Print provides clients with assurance that their projects are delivered in a timely manner. Overnight jobs in some cases are not unusual. We assist you through processes of screen printing, large format litho and digital print media. Whether your need is a few posters or a full fledged marketing promo that ships to over 1,000 locations, you can trust us to be creditable, resourceful and extremely competitive. We produce products comprising of pressure sensitive vinyl, aluminum nameplates, polycarbonate overlays and metalized polyester labels. Whatever the application we have the adhesives for all temps, hot and cold, permanent, removable, chemical resistant and high strength. Laminates offered are clear polyesters for UV ray and abrasion protection as well as fluoropolymers for harsh chemical and high temp environments.